Power & Light Group, Inc. is not your standard supply house. How are we Different ? Our National Account Customers dictate our inventory not the local Electrician. Power & Light Group will customize a site lighting lay-out for each specific location to meet our customer and local municipal code requirements, including point by point photometrics. We will assist you in designing a new site plan or upgrading your current site. 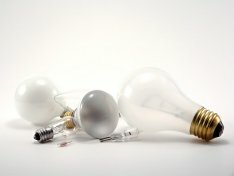 Our success is based on the fact that we recognize our customers have unique needs and demands other than electrical. So we have formed relationships with a large number of suppliers and manufacturers that recognize us as a National Account purchaser and that savings is passed on to you. With Power & Light providing your lighting & switchgear package you get superior service & pricing. No matter if we help you with designing a new lighting plan or work with you on your current design, you only need to make one call to handle any lighting issue...Call the one-stop shop.